Right NOW is a great time to find a lake home or cabin. There’s no need to wait until next spring; right now is a great time to find the lake home or cabin of your dreams. Times have changed, and today’s lake-home market is no longer just a summertime surge. (That’s even more true, of course, for off-water homes.) Maybe it’s because buyers are now eager to enjoy their new homes all year round. In the fall there’s hunting, fishing, paddling, hiking, biking, and ATVing. In the winter there’s skiing, snowmobiling, ice fishing, and just relaxing by the fire. Every spring, long before the water is warm enough for swimming, we’re blessed with months of weather that’s perfect for enjoying the great outdoors in other ways. Don’t get me wrong. If you happen to read this in April or May, I’d love to hear from you today. But plenty of serious, purposeful buyers are now on the hunt all year round; at this very moment they’re getting pre-approved, researching lakes, studying properties online, and arranging to view their top picks in person. Those buyers are on to something. If you’re ready to move on to the next stage of your life, there’s absolutely no advantage in waiting. If you’re ready, then maybe it’s time to make your move. And by the way… If the timing works out that way, moving in the winter is nothing to be afraid of—especially if you’re paying someone else to load up the moving van and drive it away. 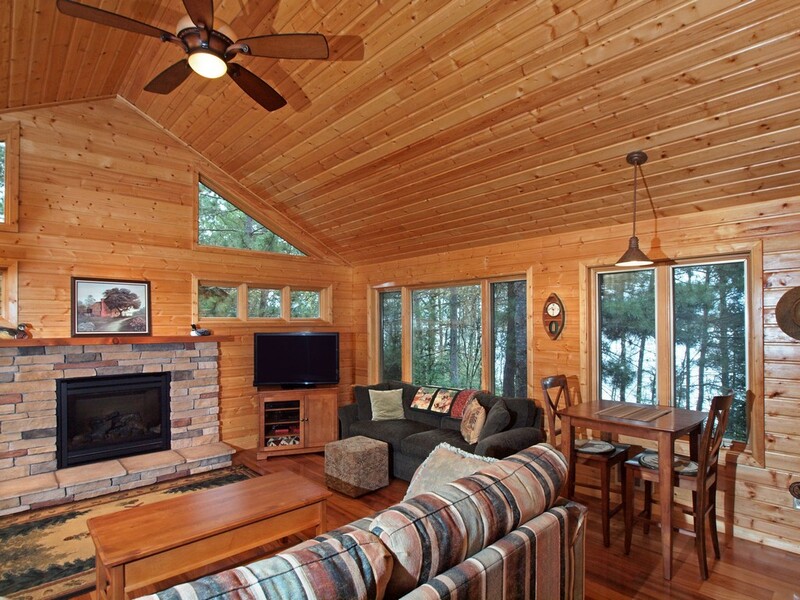 Of course, if you’re buying a cabin that’s already furnished, moving will be less of an issue anyway. Still, it will be nice to get the unpacking done and out of the way sooner. That way next spring you can spend your weekends out on the lake—or just relaxing on your deck overlooking the lake. There’s only one situation when winter could potentially complicate your plans, and that’s if you’re buying a three-season cabin that has its water shut off in the winter. You’ll probably want an inspection, and it’s hard to inspect a cabin’s well, septic system, and plumbing without turning on the water. But even then, I’m usually able to help buyers and sellers work things out.